Here's a few things that are just ready to jump out of the workshop, and into your home! We update this page regularly with new items, of all different styles and wood types. The listings here are for the exact piece pictured in the photo, so changes to size and wood type are not available. However, we welcome you to have your Fresh pieces customized for an additional fee! 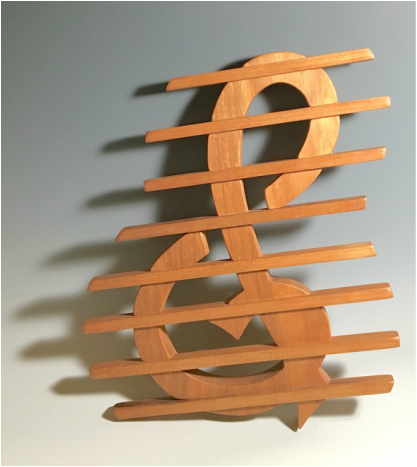 This beautiful Cherry G-clef Trivet is the perfect addition to the kitchen of a music lover, and comes with three bonus Staff lines for notes! Our meticulously fit design can handle your hot pots and pans with ease, and look great sitting out on a counter top or table in between uses. 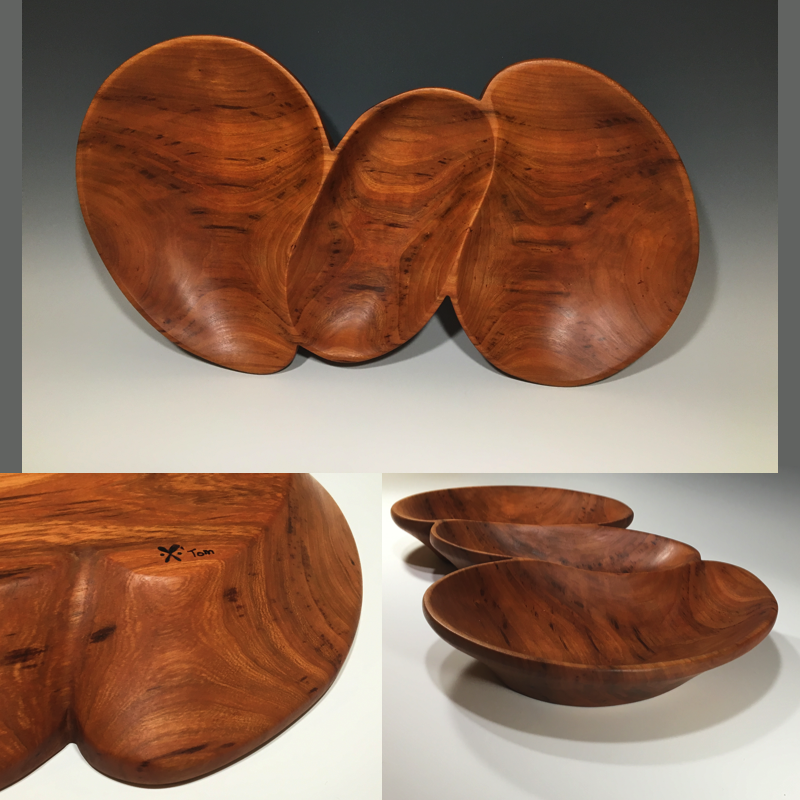 This asymmetrical vessel is made from a lovely piece of cherry with rich, dark streaks in the grain. It would make an elegant centerpiece for special occasions, or be your new favorite way to put out chips and dip! It is a large piece, measuring 18.5"x10" and is about 2" deep, weighing in at 3lbs.